If you are currently in the market for a new home in Coachella Valley or looking to retire near Palm Springs, be sure to explore Trilogy® at The Polo Club homes for sale Indio CA. This all-ages and 55+ exclusive, gated community is the perfect choice for buyers looking for well-crafted homes in a unique community setting – in the heart of everything! Combining sophistication with a casual lifestyle in a modern yet luxurious environment, Trilogy® at The Polo Club exemplifies the area’s natural beauty with an extensive system of scenic parks and breathtaking, unobstructed views of the surrounding mountains. Conveniently located, Trilogy is adjacent to the Empire and El Dorado Polo Clubs and just down the street from PGA West, and the Madison Club and Hideaway communities. 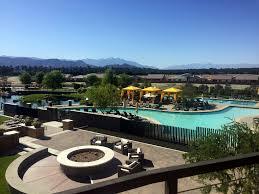 La Quinta Resort, Old Town La Quinta and the El Paseo shopping district are also just minutes away. Freedom Collection I – Homes range in size from 1,448 – 1,928 Sq.Ft. – four models with pricing from $340,990. Freedom II Collection – Homes range in size from 2,039 – 2,367 Sq.Ft. – three models with pricing from $411,990. Resort Collection – Homes range in size from 1,294 – 2,151 Sq.Ft.- four models with pricing from $286,990. O² Collection – One model available with pricing from $466,990. The Flow, Strength & Movement Studio at The Polo Club offers classes and state-of-the-art equipment for every type of workout – from Yoga, Pilates, or Tai Chi classes to group fitness or a personal training session, there’s something for everyone. The Four Suits is a room at The Club that serves the diverse card-playing interests of members. The Polo Club offers several dining options for members’ enjoyment. June Hill’s Table features local and regional house crafted selections, with freshly made fare that is healthy and flavorful. The Cuverie is a private dining suite offering an exceptional private dining experience – perfect for celebrating anniversaries, birthdays, or any special occasion. McCarroll’s Kitchen is the ideal demonstration kitchen and room for relaxing among friends. The Market Place is a coffee shop/sandwich shop/grocery store that provides delicious options for breakfast, grab and go lunch, and select grocery items. The Paddock at The Polo Club is the perfect sports escape with billiards, darts, sports on a flat screen TV, and a full-scale golf simulator – one of the most popular areas of The Club where members can unwind and relax among friends. Trilogy at The Polo Club is a premier community in a great location and is an ideal choice for homebuyers at all stages of life. A lot goes into buying or selling a home and Elaine understands that no one person, no matter how experienced or knowledgeable, can provide the best service without a team of specialists. Offering over 24 years of local real estate experience, Elaine provides the skills, dedication, and personalized service that her clients deserve. Whether you’re looking to invest in one of the gorgeous Trilogy® at The Polo Club homes for sale or thinking about selling your current home, experience matters most in a changing market. For sellers, your agent should know how to act swiftly and decisively to get you the highest price. Elaine will get your home SOLD and will get you the best market price in the least amount of time possible. For buyers, Elaine will help you find and get into the right home. She will protect your interests, advocate for you, and will work hard to ensure a smooth and successful transaction. Elaine would love to speak with you to discuss the type of home and community you have in mind and to see if Trilogy® at The Polo Club homes for sale in Indio are the best fit for your individual requirements and lifestyle. 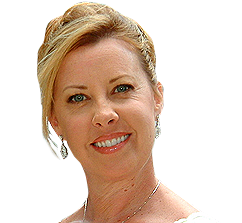 Please give Elaine Stewart a call today at 760-668-2399 or fill out the online contact form and she will be delighted to answer any questions you may have.